Looking for a central location for this year’s Christmas party? Then you have come to the right place. Event Northumbria is set in the heart of Newcastle, only a short distance from Newcastle Civic Centre. We can accommodate between 80 and 800 guests for your festive function. Whether you are looking for a formal dinner, buffet or party night, we will ensure your guests have a night to remember. With three exciting party venues to choose from, we have something for all kinds of businesses, large or small. 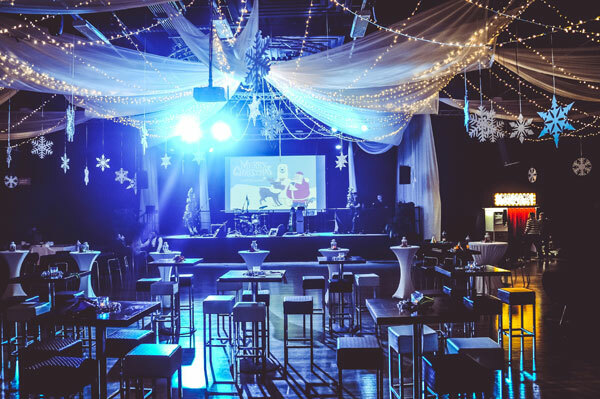 Our venues can be hired on a room only hire basis, however, if you’re looking for comprehensive offer which includes everything you need for your party – venue hire, Christmas décor, catering, usage of our PA system etc. Then take advantage of our Christmas party packages.